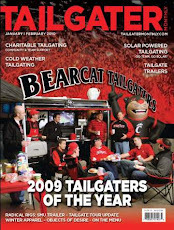 Bearcat Tailgater was in full effect in Pittsburgh to cheer on the undefeated Bearcats to their second consecutive Big East Championship! Great Tailgate....Even Better Game! We were able to capture some of the sites and sounds of this unforgettable day....enjoy!